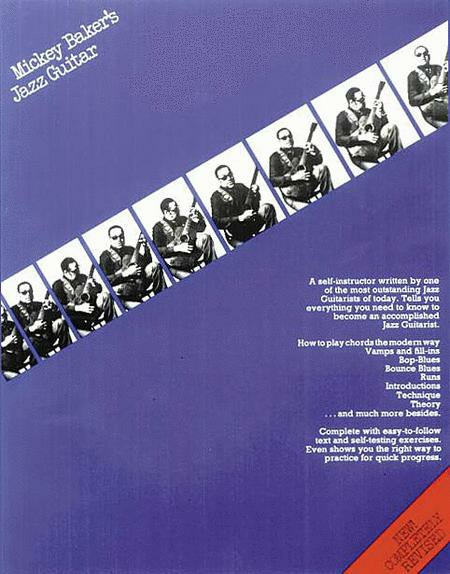 A self-instructor written by one of the most outstanding jazz guitarists of today. 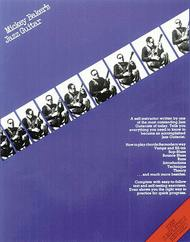 Includes how to play chords the modern way, vamps and fill-ins, bop-blues, bounce blues, runs, introductions, technique, theory, and much more. New, completely revised edition. March 18, 2010 Still as good as any other Jazz guitar book. what he says in the book. I was a rockguitar player, but when i played some jazz from that book in pauses of gigs, they got big eyes and was impressed. Fun. It helped me to get in love with jazz, and thats most importen i guess...!! & 2 and at the same time clarifies some of the notation. Great book and if you are a fan of his method you can save money by just ordering this newest update. It is worth noting that this book is basically a duplicate of the Ashley Publications Complete Course In Jazz Guitar book 1 and 2, so you should buy this one or those two books, but not both. December 11, 2007 Incredibly useful! do a lot of practice with it, I never even tried the lead guitar section, but I practiced the chords, and tried to understand them. I got the idea on how those jazz chords worked, why they were called in those ways, and how to use them, and it definitely took me to a different level, giving me a good foundation to understand other books I used afterwards, and without a lot of effort, to be honest.. I play music as a living all year around. I usually do 6 or 7 gigs a week. For years I played in a good number of bands, released records, and played on TV. I'm 50 years old now, so it's rained a bit since I first tried this book. I'm glad to see it's still around. i'm a mickey baker collector. he must be more revalued and more attention by critic and collectors. fine book and i think more work about instructional material biography ,methods,video and all remastered discography on great storic guitarist m.baker.